What is the next best thing to reading an amazing book? Meeting the author! 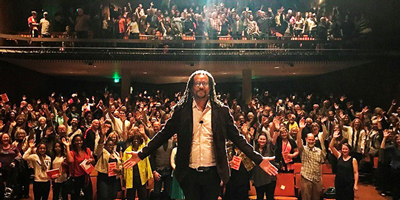 Organizing speaking events and creating magical moments that inspire and educate is at the heart of what the Penguin Random House Speakers Bureau and the Penguin Live programs do. Both connect authors with readers in interactive and dynamic ways designed to broaden our horizons and to deepen the impact of our books. The Penguin Random House Speakers Bureau is a full-service lecture agency. It works with a wide range of organizations in the U.S. and throughout the world to identify preeminent speakers for important events. 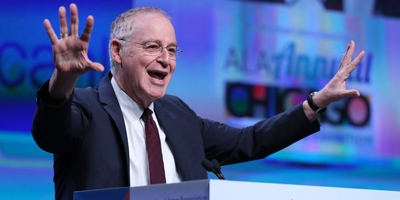 At present, the Bureau represents over 300 Penguin Random House authors, including Pulitzer Prize winners Ron Chernow (pictured above), Colson Whitehead, and Isabel Wilkerson, and bestselling authors Gillian Flynn, John Green, and R.J. Palacio. From historians and creative innovators to experts in international politics and heroic activists, its roster comprises a who’s-who of thought leaders shaping critical cultural conversations. “Linda’s (Kaplan Thaler) passion and message was a hit with our audience of entrepreneurs – it connected at a deep personal level. She inspired and energized our Forum kick-off which elevated the energy for the rest of the program. 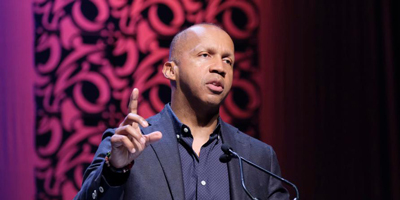 Many commented it was one of the best keynotes we’ve had at a Virtuoso event, and given our who’s who line-up, that’s saying a lot.”—Matthew Upchurch, Chairman & CEO, Virtuoso, Ltd. In an increasingly competitive market place, the PRH Speakers Bureau has grown into a thriving business, more than doubling its annual gross income over the last four years. Close to 500,000 people—at Fortune 500 companies, universities, libraries, conferences, and trade associations, in 23 countries—attended events in 2017 alone, and over 190,000 books were sold directly at these events. The Speakers Bureau continues to grow its prestigious list of clients, which includes Deloitte, Facebook, Google, Pinterest, Merrill Lynch, and YouTube. Its talent pool continues to grow as well. In the last year alone, it signed 39 new top lecturers, among them award-winning author Ta-Nehisi Coates, American political commentator Robert Reich, bestselling suspense author Lisa Gardner, world-renowned architect Daniel Libeskind, and Tara Westover, author of EDUCATED, already one of the most talked about memoirs of the year. 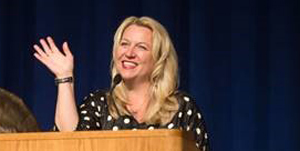 “The Speakers Bureau has flourished since the merger, which brought two already successful lecture agencies together under one roof and allowed us to capitalize on our strong speaker and agent talent to great advantage for all our stakeholders. Our goal is to provide a first-rate experience for every single client and for each individual event. And happily, the breadth of our speaker roster is so great that if a prospective client’s first choice is unavailable, our team works together collaboratively and cross-divisionally to provide them with an equally appealing alternative who can deliver a top-notch lecture.” says Tiffany Tomlin, Vice President and Executive Director of the Speakers Bureau. New initiatives for the bureau in 2018 include “Company Reads,” which applies the community read and first year experience concept to corporations by bringing employees together around a common book. Launching in June with a website and presence at the Society for Human Resources conference, the initiative will connect organizations with speakers, books, e-courses, and other unique programming opportunities that best fit their employee’s needs. In the UK, Penguin Random House takes a different approach to organizing speaking events for their authors. 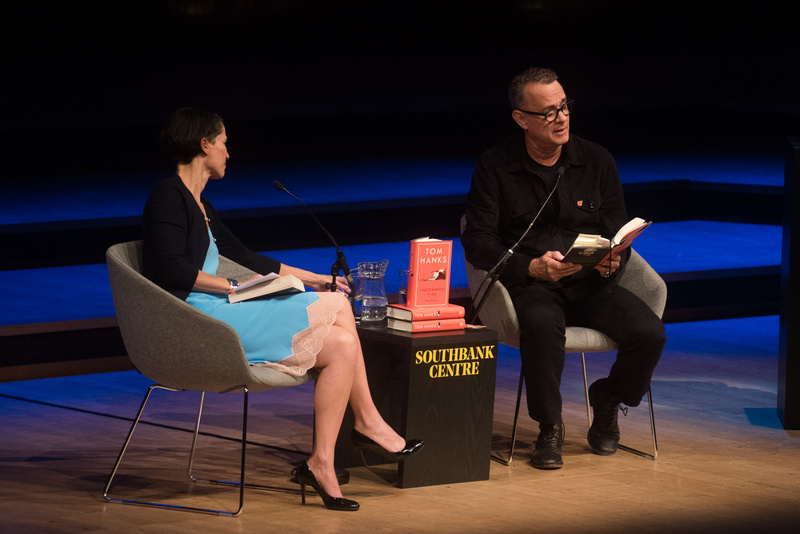 Over the past few years, Penguin Random House UK has developed its own event production department, Penguin Live, which now produces over 50 ticketed events and tours per year, providing best-in-class opportunities for readers to enjoy live experiences with the writers they love. These range from intimate gatherings to extensive tours, featuring comedians and novelists, chefs and big thinkers: Ruby Wax, Simon Sinek, Caitlin Moran, and Irvine Welsh, to name a few. Penguin Live has also been creating show-stopping productions featuring household names like Tom Hanks, Margaret Atwood, and Tim Peake, and developing experiences manifesting our brand, such as the hugely successful Penguin Pride @ Proud – a key showcase at the heart of the Penguin Pride campaign, which celebrates the important role literature plays in the fight for LGBT rights. 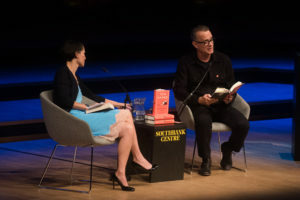 And because every Penguin Live event is organized around books, each not only drives book sales, but fosters communities connected by a shared passion for long-form reading.